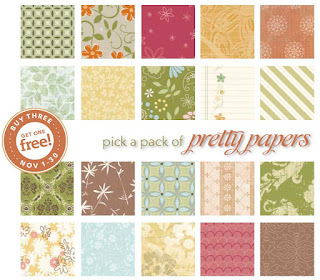 Buy any 3 Designer Series Paper packs and get the 4th one FREE! That's a $9.95 savings! See pages 170-173 in the Fall/Winter catalog as well as those Designer Series Paper packs in the Holiday Mini catalog!